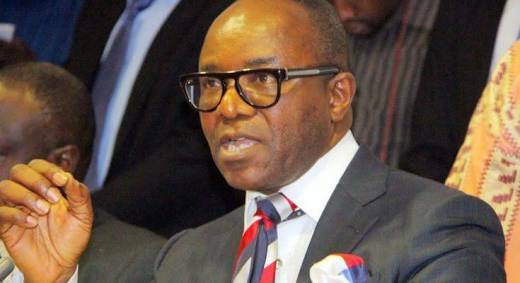 Minister of State for Petroleum, Dr. Ibe Kachikwu has refuted the publication made by an online newspaper on whether he obtained a first class honours in the faculty of Law, University of Nigeria Nsuka (UNN). My attention has been drawn to a publication on an online medium Premium Times with a title "FACT-CHECK: Document shows Kachikwu lied about graduating with First Class in Law". In the publication the writer alleged that l, Dr. Emmanuel Ibe Kachikwu misrepresented information about obtaining a First Class Degree from the prestigious University of Nigeria Nsukka, citing a presentation done at Commonwealth of Zion Assembly (COZA) Abuja. graduated as best student in 1978. In addition, no First Class Honours were awarded by UNN that year. have I misled the Nigerian public or my colleagues in believing otherwise. 2. On the presentation I made at the Commonwealth of Zion Assembly (COZA) cited by Premium Times, the substance of the assertions was to the effect that I had a first class performance in school and was emphasizing on the need for hard work amongst youths to get them to the top of their game. category by the Law School. My results in Harvard University, which is captured in my CV correctly states that I was a Distinction graduate for the Master's degree programme (First in Class) at Harvard University and I went on to obtain my SJD in a record time of one and a half years. 5. Since my appointment three years ago, first as Group Managing Director (GMD) of Nigeria National Petroleum Corporation (NNPC), then as GMD/Honourable Minister of State, and now as Honourable Minister of State, Petroleum Resources, championed the change agenda in the Petroleum sector and changed the narrative on performance in the sector. I have also taken the liberty to attach my CV that shows all my awards and accomplishments.